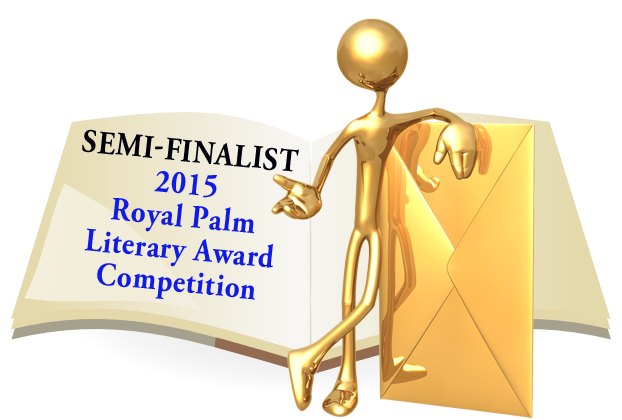 Thank you for entering in the 2015 Royal Palm Literary Award competition and congratulations again on making the semi-finals. Your entry, People Behaving Badly: A Collection of Short Mystery Stories, a book-length general genre was passed on to a finalist judge, and, unfortunately, it did not make the finals. Judging any form of art involves some subjectivity, and this year’s RPLA has had an unprecedented number of entries. We encourage you to continue writing and entering contests. What doesn’t work for one contest (or agent or publisher) may be perfect for another. In the meantime, please display your semi-finalist badge with pride! We hope you plan to attend the annual conference. During the conference we’ll have the RPLA Awards Banquet, where the winners will be announced and finalists and semi-finalists recognized. Within 30 days after the Banquet, you will receive your rubrics. We hope you’ll benefit from the thoughtful feedback from the judges. Thank you again for your entry and for being a part of FWA’s community of Writers Helping Writers. Hope to see you at the conference! This entry was posted in News, People Behaving Badly and tagged John D. Ottini, mystery, People Behaving Badly, Royal Palm Literary Award, short stories, suspense. Bookmark the permalink.